What you will learn studying with Barbara Steinberg BFAAs a beginner, you will learn basic watercolor techniques. As a intermediate or advanced students you will learn to improve your eye for color and light which are Barbara's specialties and how to improve your art style. Examples of watercolor technique preserving the white, wet on wet technique, wet on dry technique, controlled wash, glazing, textures, and additional techniques will be learned. You will learn how to draw /sketch your subject and then how to paint it, learning to paint light and color, shade and high lights and reflections. 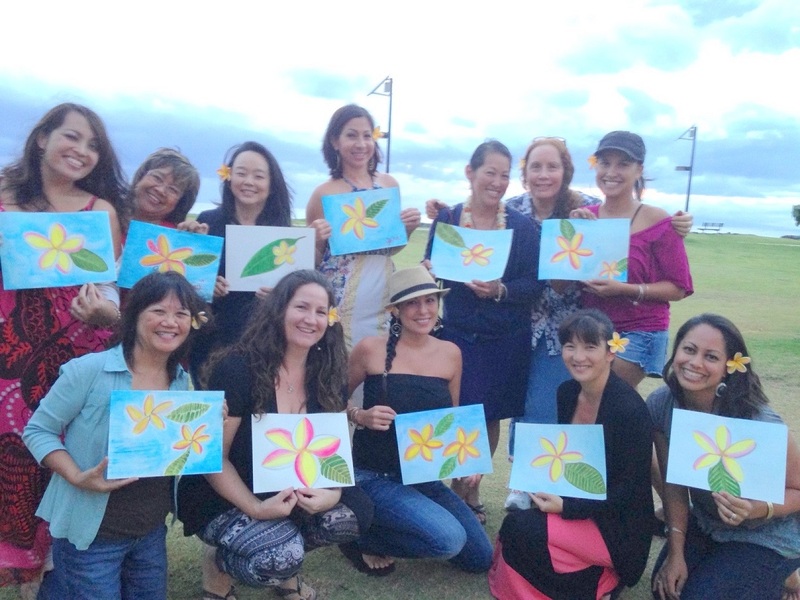 Whether you are a novice or an accomplished Artist, our private or group lessons will help bring your artwork to the next level. 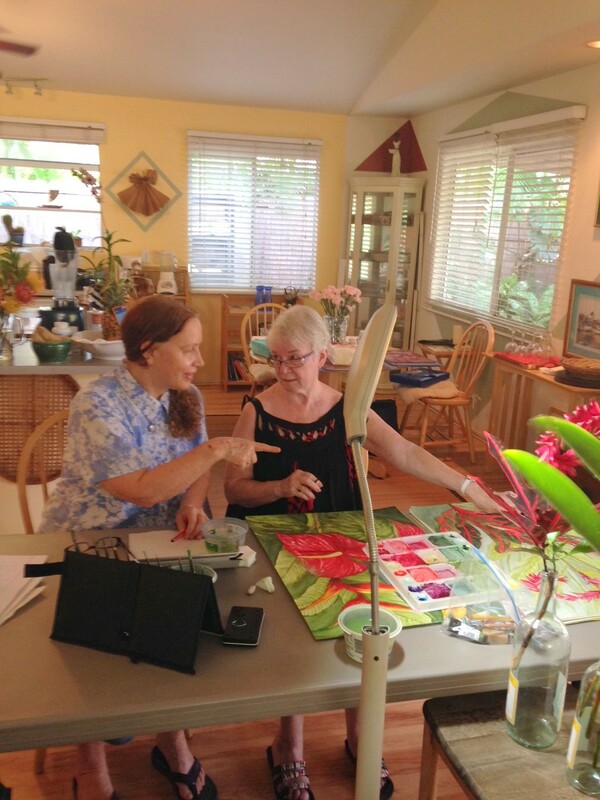 Barbara will work with you on technique and color theory to help you achieve fantastic results in your artwork. Mediums will include graphite pencil, water color and acrylics. Barbara will help you achieve your artistic goals of excellence in painting any subject in making your artistic dreams come true. Barbara Steinberg BFA welcomes all skill levels to study with her from drawing and painting for beginners to advanced students. 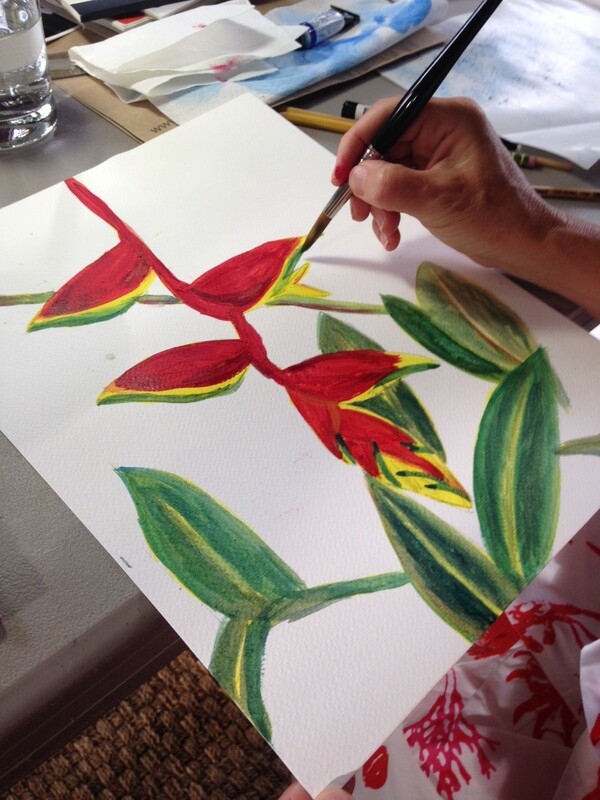 All levels will find Barbara's color blending exercises, how to handle brush work and especially how to see and paint the true colors of nature. You will be taught a relaxed introduction to art to develop drawing and visual awareness with drawing, pencil, ink and watercolor and with composition. 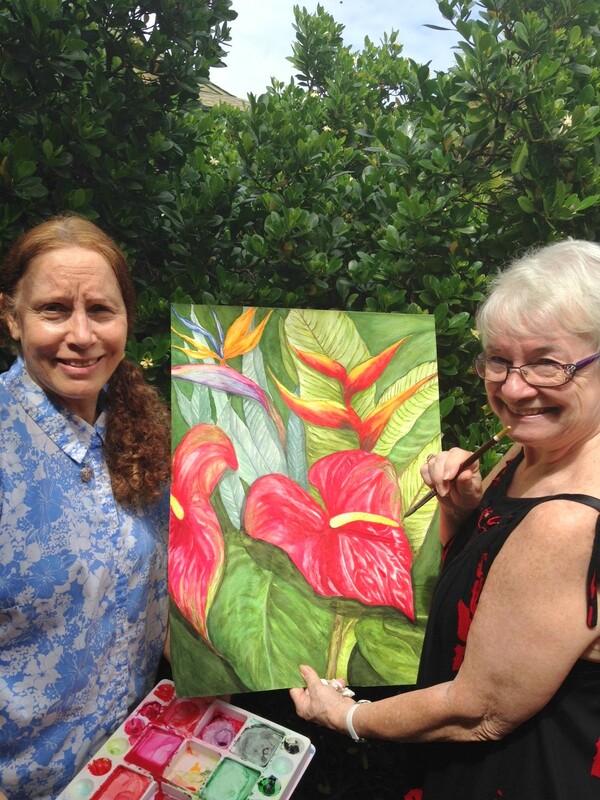 "Orchids and Emerald Pitcher" & "Kula Botanical Garden"
I have studied Art with Barbara for 5 to 6 weeks of lessons each year for the past three years. I had never painted watercolors before and I had no previous art training although my Mother and Grandmother had been painters. I had always said that when I retired I wanted to paint watercolors of flowers. 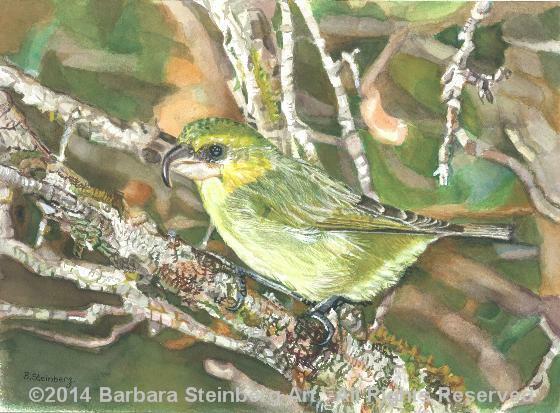 So in 2012 we went to Maui for several months and I found Barbara through the Maui Open Studios tours. Barbara started by introducing me to color and light,helping me to see forms and shapes and to draw what I saw. 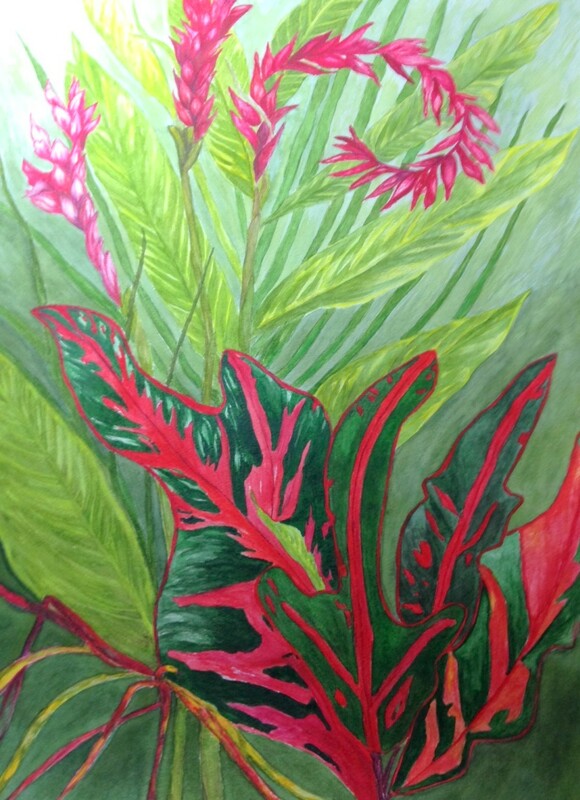 By the end of my first 6 weeks I returned to Canada with a large painting of a red ginger, that I have framed and proudly hang in my home. I continued to paint and often sent her photos of my work asking for advice and pointers. She was incredibly generous with her time, talent and her feedback always inspiring me to keep practicing and to continue painting. During my second year she challenged me to capture highlights and transparent parts of a yellow hibiscus. The result in my eyes was a wonderfully happy painting. Once again I continued to paint while at home in Canada and that year I had three paintings chosen for a juried art show in North Vancouver. I was so excited and attribute my success to Barbara's teaching and coaching. 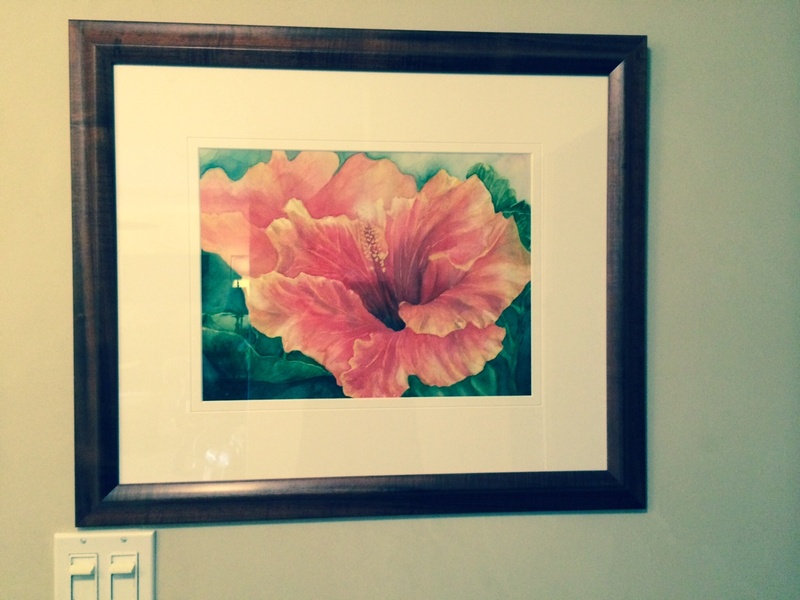 This year I produced a pair of paintings while on Maui. My style is evolving to flamboyant colors and more detailed backgrounds. 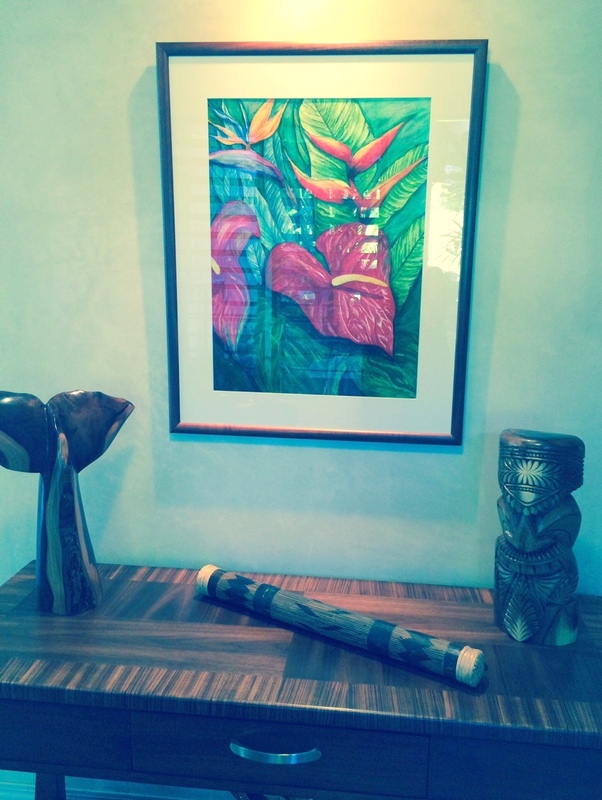 The owners of the condo we rent have asked to buy the paintings and keep them in the unit. As an instructor, Barbara is patient and passionate. Technically she can direct and correct without ever leaving me feeling criticized. She teaches when needed and coaches when appropriate. She laughs and helps erase or incorporate my errors so that they simply become a good part of a better painting. She has an incredible eye for proportion and dimension. Perhaps one of the greatest compliments I can pay to Barbara as an instructor is that she has genuinely helped me find my voice and did not encourage me to just copy her work or style (which is very beautiful). I look forward to my annual vacation to Maui and my annual classes with Barbara. I recommend her highly to other adults wanting to explore the medium of watercolor. I guarantee it will be a fun experience. 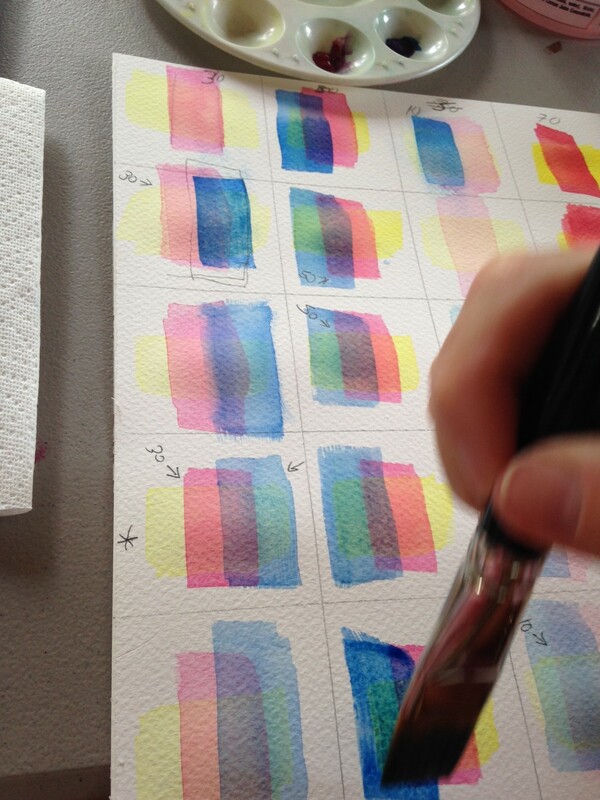 Thank you for the most enjoyable and well-taught introduction to the basics of watercolor. 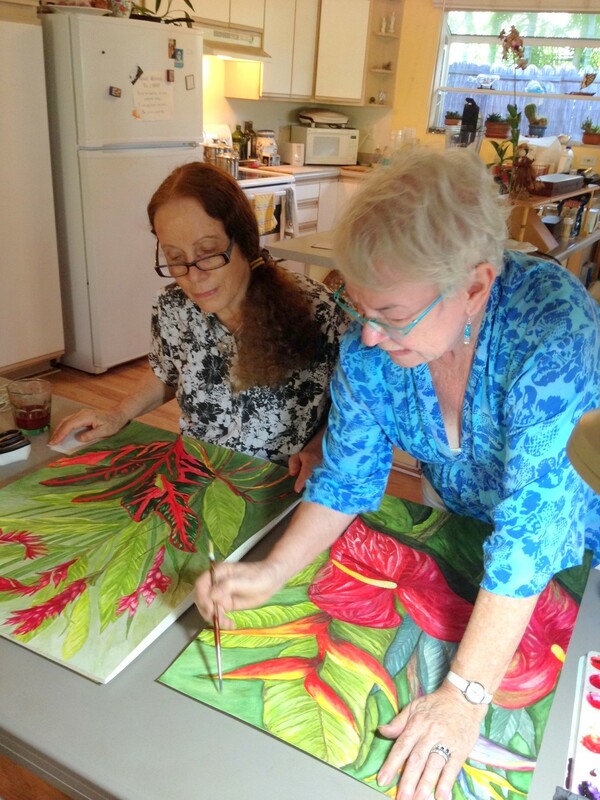 I quite lucked out in selecting you from the list of private art teachers in Maui! It was obvious to me right away that you have a lifetime of experience as well as the gift of teaching and the methodology you used in helping me understand the basics really made sense to me. The exercises were a great way to start and gave me confidence. 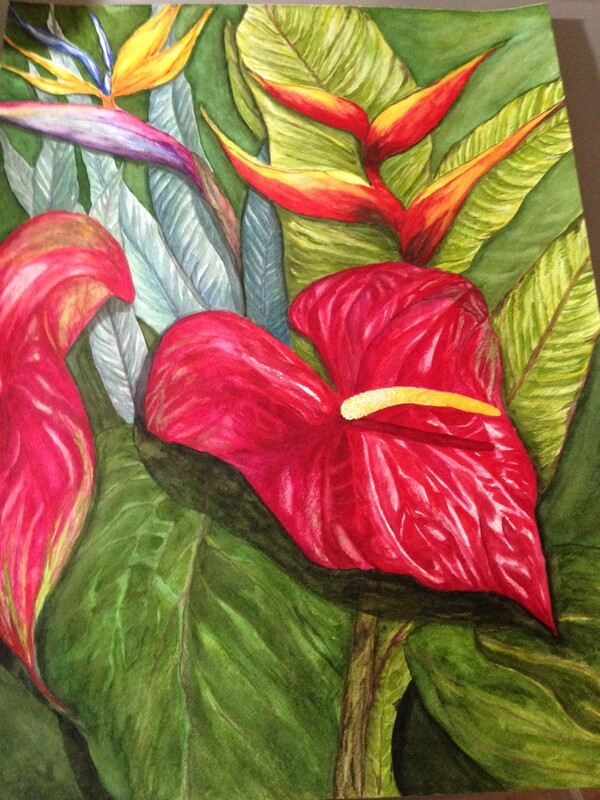 I am on my way to painting flowers as I had requested in our early discussions and feel that I will continue as your student when in Maui and will pursue my interest at home stateside. Thank you for having me in your home as a student and for your fine way of teaching. 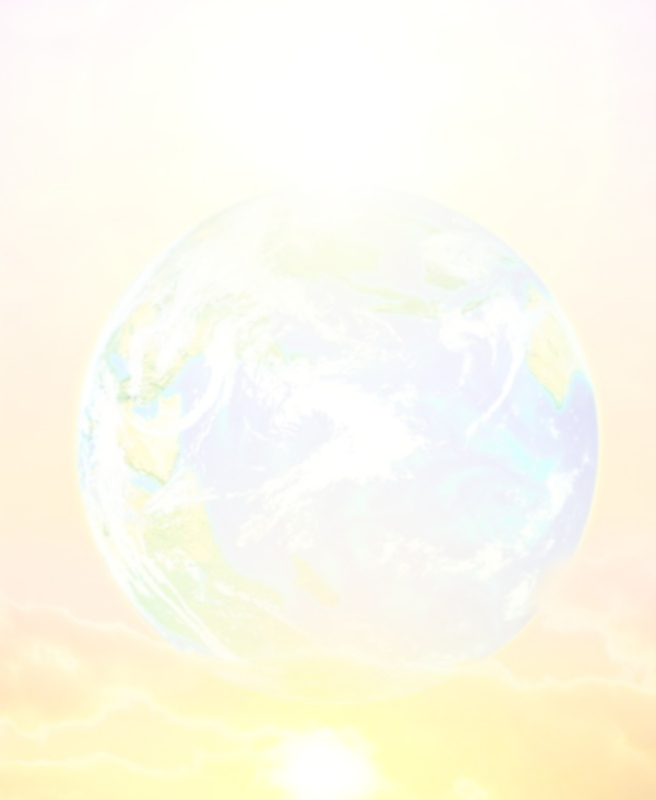 I am sure that others would benefit from your talents whether they are a novice like me or already accomplished. I'm sure you are great with children as well. I hope you will use this letter as a recommendation for your teaching endeavors. Barbara's love for art, light and color began when she was a child. Her heartfelt desire to express this love was subsequently nurtured and developed be her artisitc training by many masterful artists. The most influencial teachers came from her studies at the University of California at Santa Cruz (UCSC), the renoun artist Miguell Arguello of Spain and Jennifer Carrington of England who introduced Barbara to the Classical Realism" style of art. After being brought up as a child around the original paintings of Picasso, Matisse and Braque through her Mother who was an avid art collector, Barbara eventually fell in love with "Realistic Art" in college. After recieving her BFA Degree at UCSC she studied at the art schools of London England and on in Florence Italy where she was personally inspired and guided in the arts by the great "Maestro Pietro Annigoni". 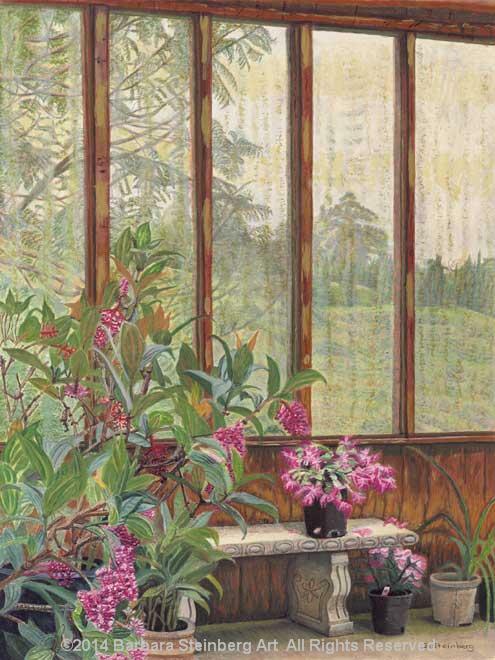 After her training in Europe Barbara then moved to Minneapolis, Minnesota where she pursued more classical realism studies with the collegues of Atlelier Lack and with such renowned artist as Stephen Gjertson, Jim Prohl, and Jim Childe with personal counseling by master artist Richard Lack. Barbara then moved to New York City and studied privately with the Spanish master Miguell Arguello whom she studied privately with while both while living in New York City and while attending UCSC. 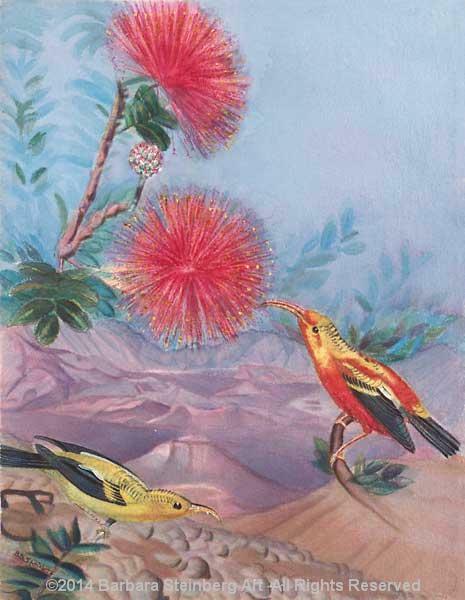 When she moved to Maui Hawaii in 1984, Barbara was greatly influenced by master artist Richard Nelson with whom she studied the Tri-Huetechnique of painting. 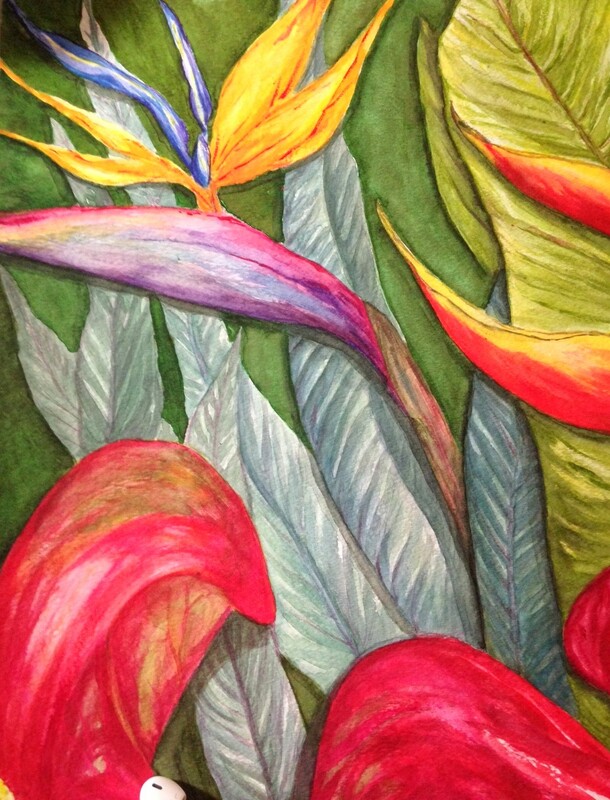 This technique helped Barbara to develop a greater understanding of color and light and evolved her professional career as an artist. In 2001 Barbara coordinated 2 large Art auctions with Jonathan Orlowski assisting her with the American Red Crossto raise funds for victims of 9-11 just weeks after the attack occurred inspiring and pulling the community together to donate valuable Art work for this fund raising event. The auction was held at the Queen Kahuumanu Center in Kahului, Maui. The second fund raising event was to raise money for disaster relief funds for the Maui County American Red Cross under the direction of Bill Shaney and with the assistance of husband Jonathan Orlowski. 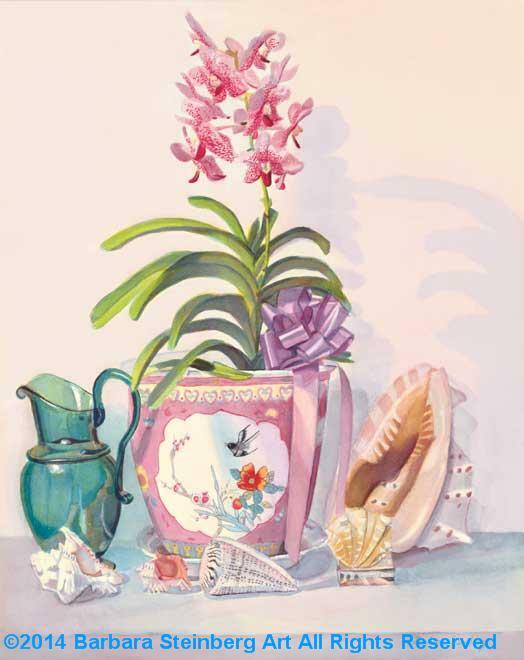 From 2002-2005 Barbara volunteered as acting President and coordinator of the "Maui Watercolorists Association" for a 3 year period were she was responsible for Juried Art Shows with prize awards and facilitating monthly Workshops for adult Watercolorists led by renowned Watercolorists in Hawaii. Her husband Jonathan acted as the Treasurer on the Board of Directors for this well known organization and he conducted room set up and take down as well. 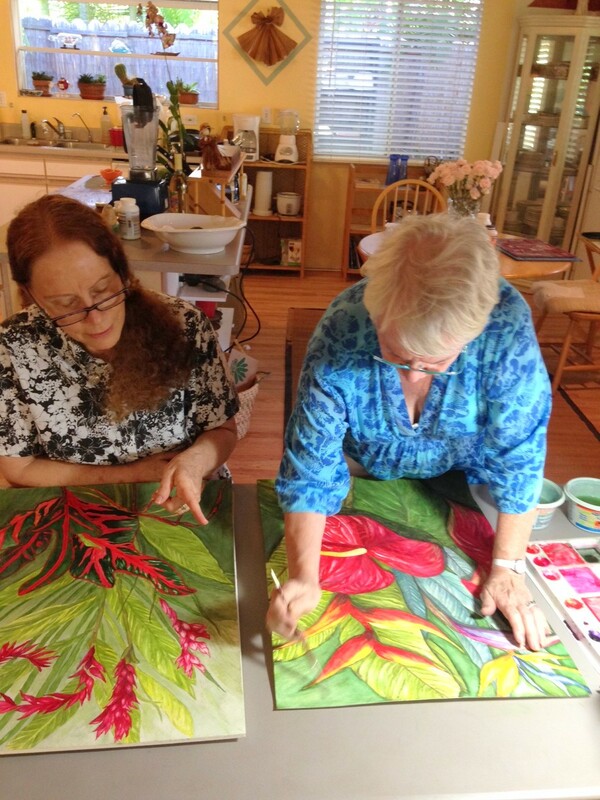 From 2010-2012Barbara also taught art at Kalama Heights Retirement Home volunteering for senior residences art classes plus offering group adult classes in Maui Adults to join the class for several years. 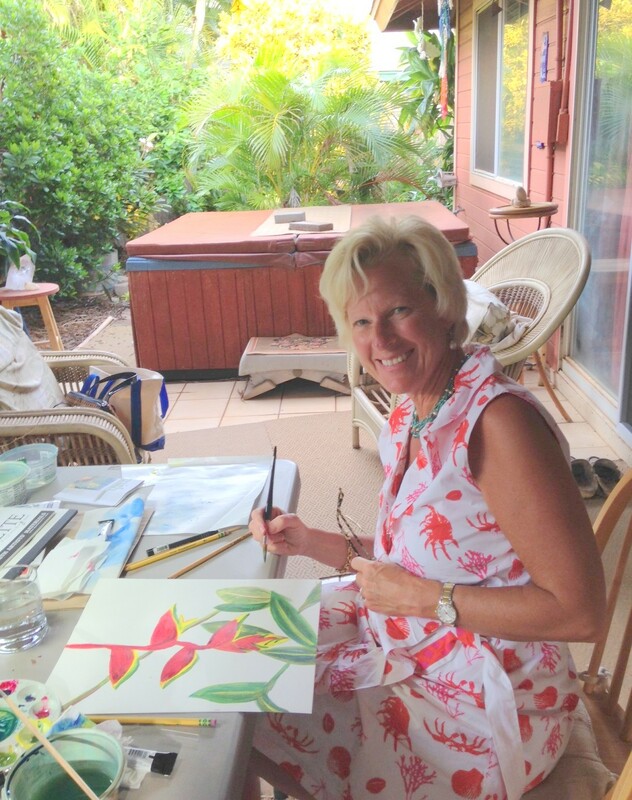 Barbara has taught part time as an Art Teacher for both the Public and Private School System on Maui as well as for the Maui Parks and Recreation Department from 2003-2014. 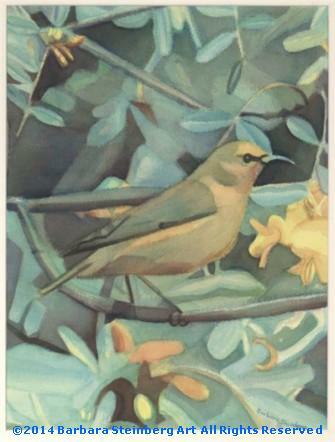 Adult Snow Birds return to Maui year after year which is a subject for Art studies with Barbara too. These are just some of the long term Private and Semi-private students who have been enduring students in Barbara's Art Classes for Adults.